After undergoing a complete renovation, in 2019 Paulson Playground will re-open as Paulson Spray Park. The new facility will be the site of an artistic hardscape mural, funded by the 1% For Art. 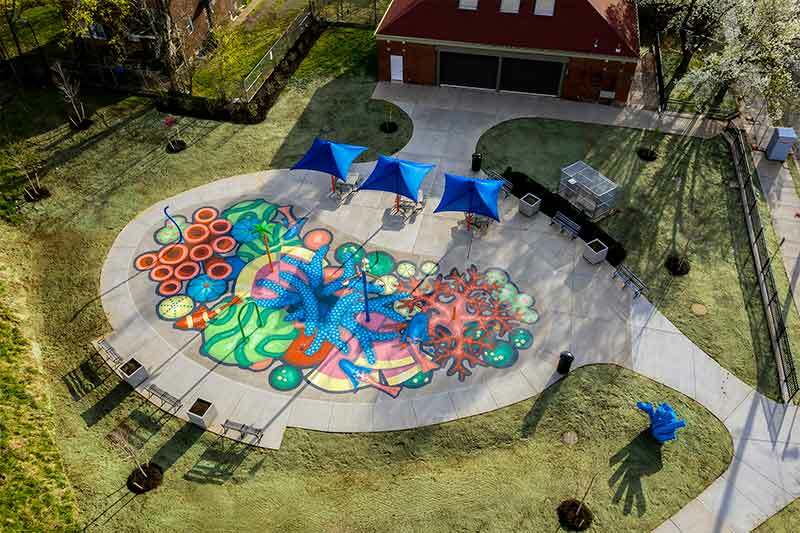 Artist Will Schlough’s design will integrate the park’s water-based play equipment with a colorful coral reef, resulting in a lively and dynamic environment for imaginative play. Squirrel Hill’s Wightman Park will be undergoing a comprehensive redesign through the City’s Department of Public Works. Utilizing the 1% For Art, the renovation will include several public art components by artists Oreen Cohen and Alison Zapata. The artwork will be inspired by the history of the site and will conceptually mirror the new park’s focus on water and natural elements. In 2018, PA+CD began a new step in its long-term project of researching and cataloguing the City’s art collection with the introduction of a series of informative plaques. The plaques will identify pieces of City-owned artwork, bringing attention to art and memorials that may otherwise be overlooked by passersby, as well as creating an easily identifiable citywide network of public art sites. 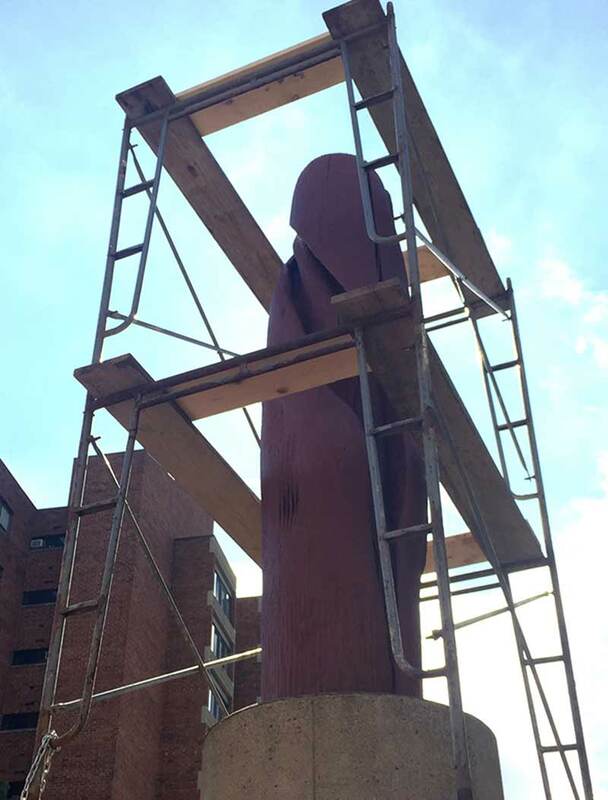 Working with the Department of Public Works, PA+CD refinished Phoenix, a monumental wooden sculpture by renowned local artist Thaddeus Mosley. 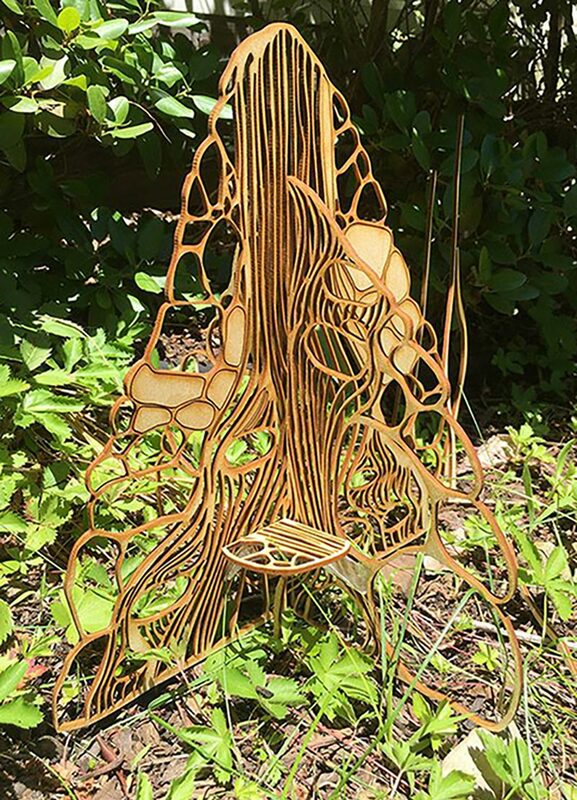 After nearly forty years of exposure to Pittsburgh seasons, the red cedar sculpture had developed natural cracks in several places. With the advice of the artist, the sculpture was re-stained and sealed against further weather damage. 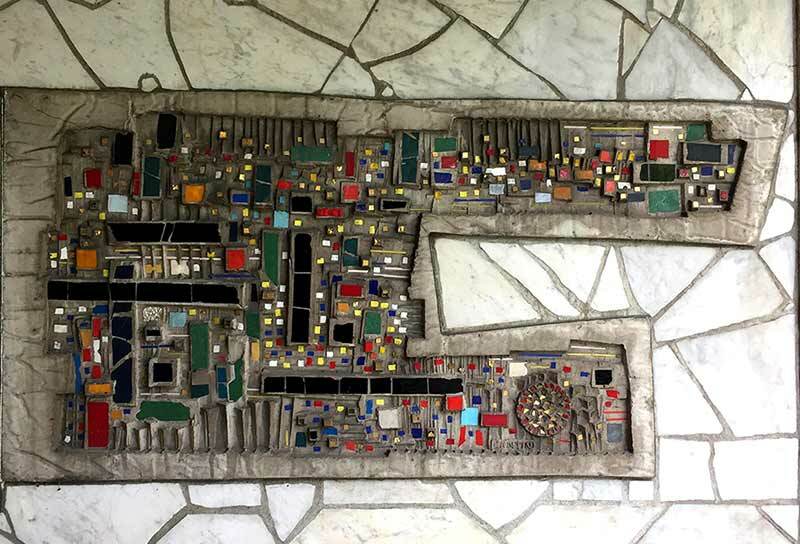 In the fall, restoration experts did a successful test removal of one of the panels of the 28-panel mosaic by Pittsburgh artist Virgil Cantini, a work of art installed in a pedestrian underpass in 1964. The underpass will be closed permanently as part of the I-579 Cap Project, which includes a new, at-grade public park. 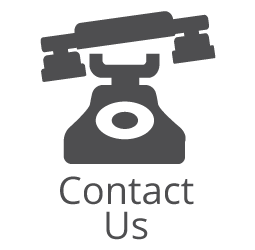 Work towards the removal, storage, and future reinstallation of the full mosaic will be underway in 2019. PA+CD staff coordinated repairs to a Spring Garden monument to World Wars I and II. The large marble monument had lost one of its two brass medallions featuring an insignia of military arms. A new fixture was cast and expertly modeled to match the existing medallion, and was installed by the Department of Public Works. 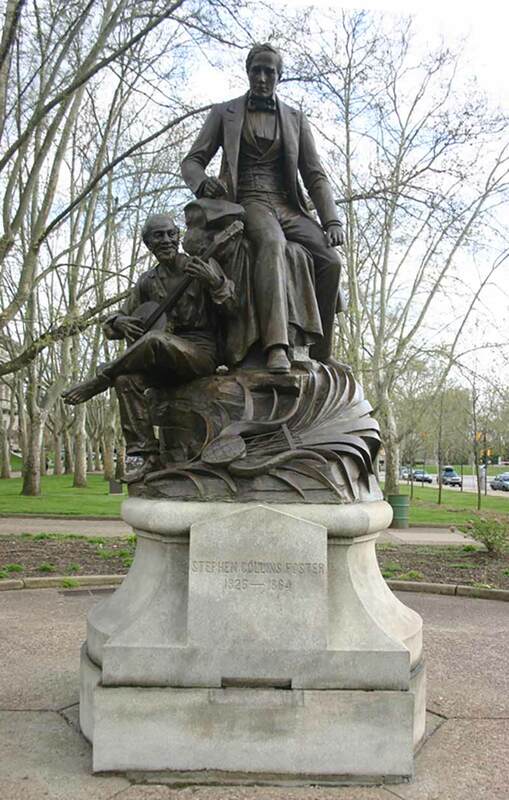 Following a process of community feedback and a decision by the Pittsburgh Public Art Commission, the statue of Stephen Foster that had been located outside of the Carnegie Museum in Oakland was removed from public display. 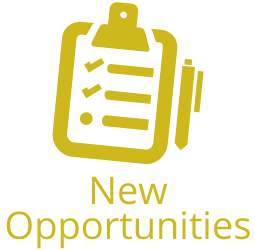 Efforts to determine an appropriate site for relocation are being undertaken by the City in 2019. 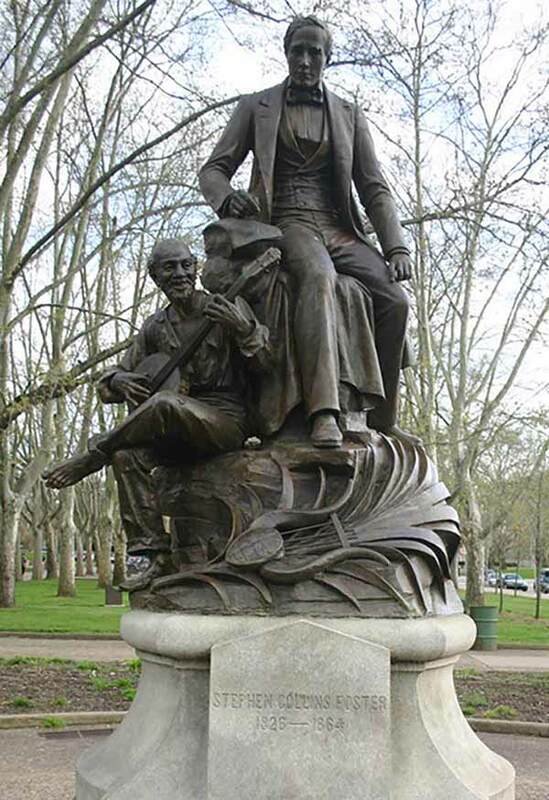 The City’s Art Commission, voted for the removal and relocation of the Stephen Foster statue. PA+CD established the process and a neutral platform for everyone to express their position regarding the monument. 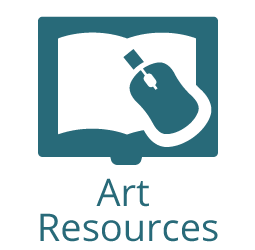 The Art Commissioners made careful deliberation and took a stand on the representation and use of Public Art and Public Property. The deliberation was a great accomplishment for the Art Commission which was resolved in a transparent, organized and professional manner. PA+CD will be working with various City departments to oversee the removal of the sculpture as well as coordinate its relocation. 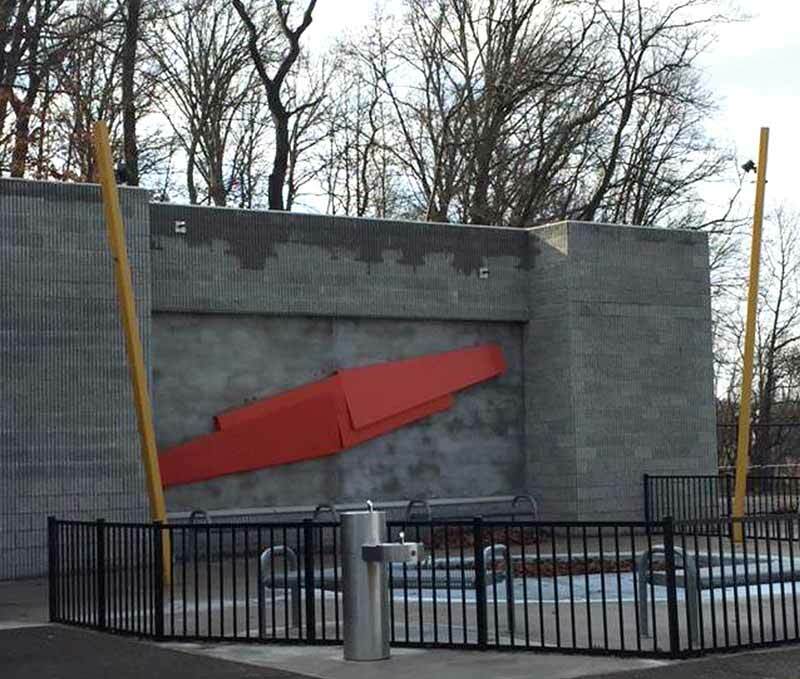 A large work by local sculptor James Myford was given a new refinishing after vandals marred the bright aluminum surface. The sculpture, located in Grandview Park, was the artist’s largest work at the time of its creation. The sculpture was originally made in 1973 but had been fully recreated by the artist in 2010 in coordination with a City conservation program. 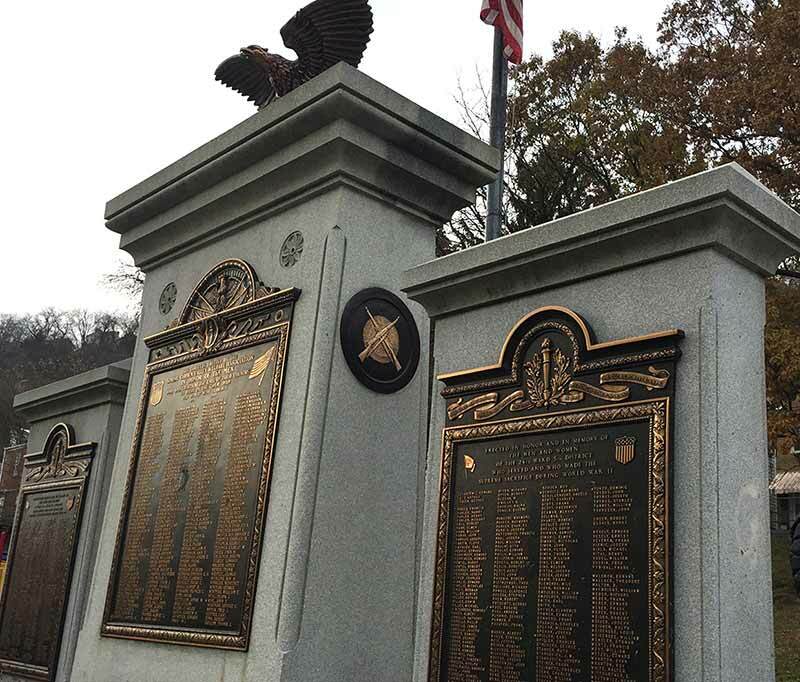 A World War I monument in the Troy Hill neighborhood that had previously been toppled by a vehicle was once again subject to damage from local traffic. 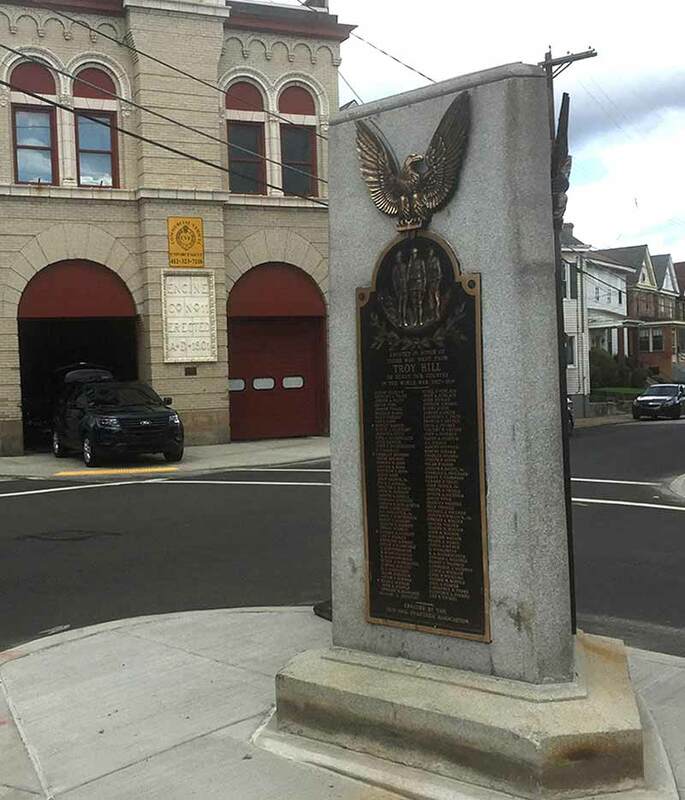 PA+CD had new bronze eagles cast for the restoration and the Department of Public Works created a new traffic island to protect the memorial honor roll and to increase the safety of the intersection. 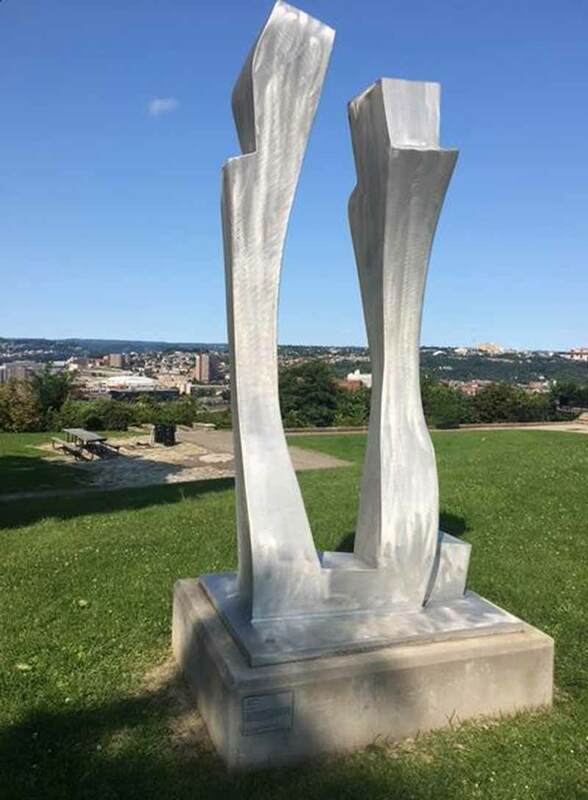 A piece of abstract sculpture by artist Edward Bordas was restored by the PA+CD Division through a grant by the R. K. Mellon Foundation and placed in a new location at the Schenley Park Swimming Pool. 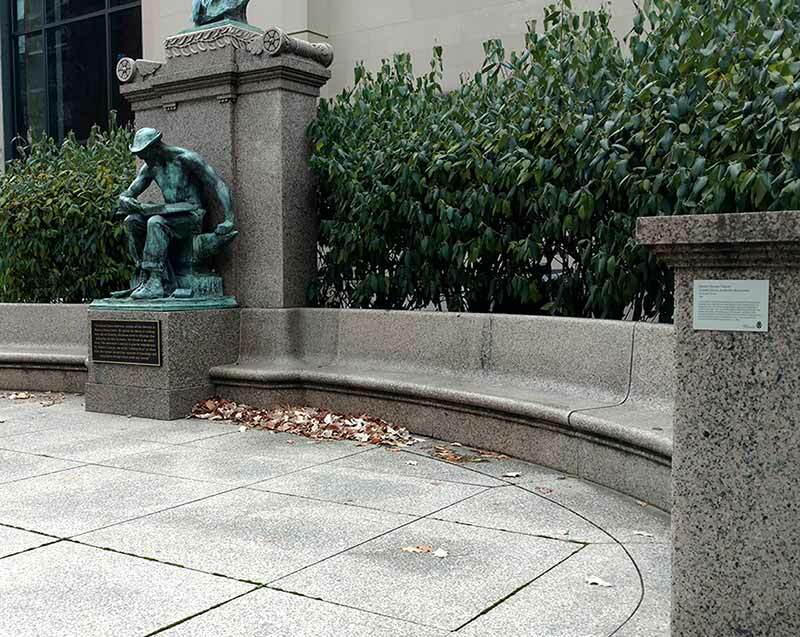 The sculpture, originally commissioned for the Carnegie Library of Squirrel Hill, had been in storage since renovations to the library had necessitated its removal in the 1990s. 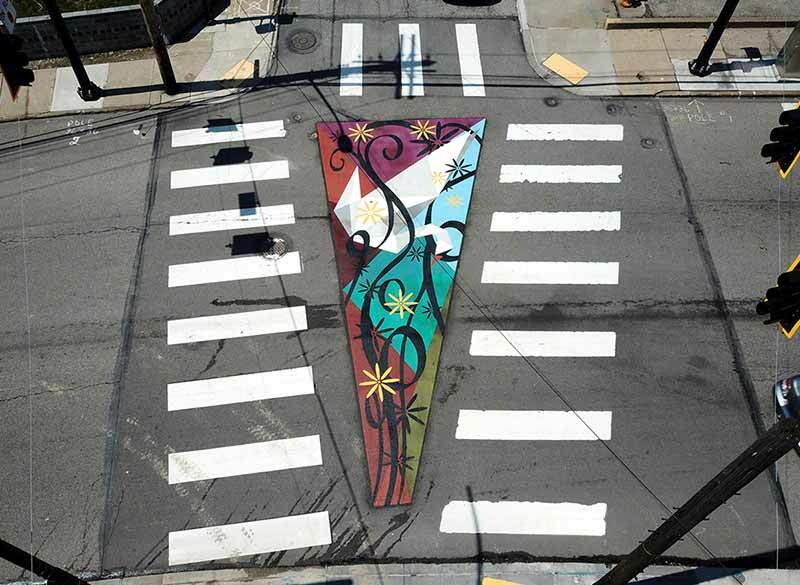 The City installed its first artist-designed intersection in March of 2017 at Brownsville and Parkfield Roads in Carrick. Artist Guy Ruff was selected to implement his design, which combined themes of place-making and safety with symbolic representations of the neighborhood’s identity. The enhanced intersection both performs a traffic-calming function as well as providing an elevated pedestrian experience. 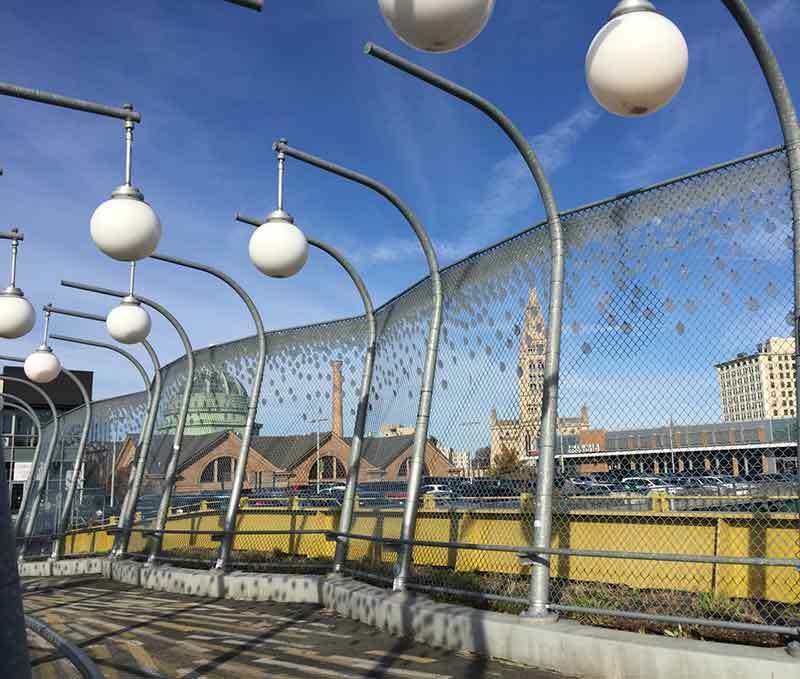 The East Liberty Pedestrian Bridge, erected in 2012, was a collaboration between the City of Pittsburgh, the URA, PennDOT, private companies, and community organizations, and was designed by artist Sheila Klein. The bridge serves to reconnect two neighborhoods, East Liberty and Shadyside, which had been separated by earlier development projects. Installed in 2012, The Workers was the result of twenty-four artists collaborating over the course of fourteen years. 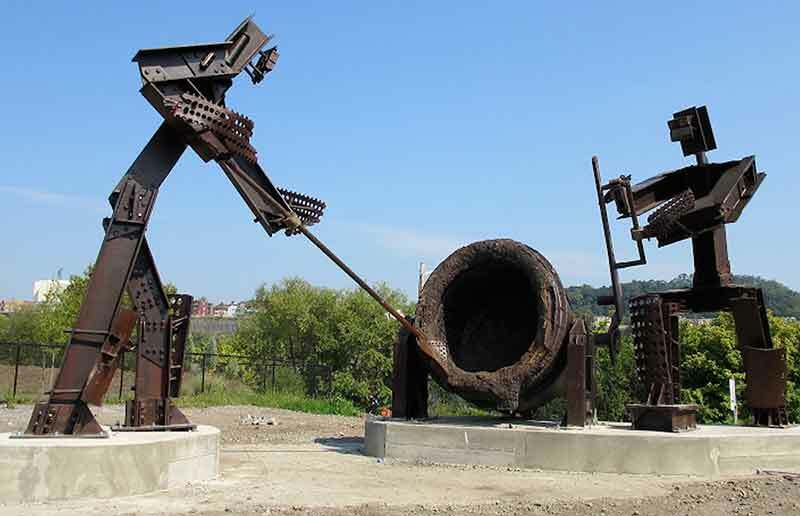 The City commissioned this work to pay tribute to the Pittsburgh’s steel heritage. It stands in the South Side Riverfront Park and utilizes reclaimed metal from the local steel industry.